Last Friday, my wife and I woke up at the crack of dawn to catch a flight to Phoenix, Arizona. We went to Phoenix to attend a mastermind for our nutrition coaching program, to learn from the best nutrition coaches in the industry. TWIX is my favourite chocolate bar. It’s literally my Kyptonite. The cravings were intense! 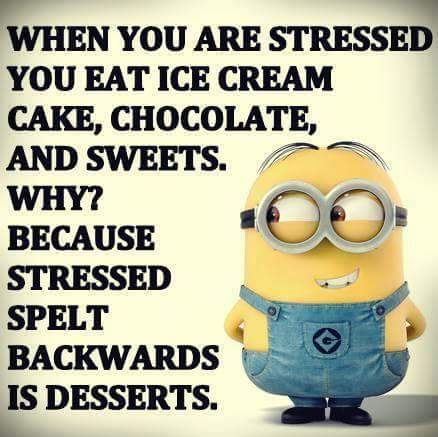 You see, ‘desserts’ is ‘stressed’ spelt backwards. 😛 When you’re stressed or have a lack of sleep, your ‘cortisol’ levels elevate. It’s a natural mechanism for your body to crave carbohydrates. Sure, you can say, that I gave in and had a lack of will power. It’s not all about will power. It doesn’t matter. What matters is what you do afterwards…. I woke up the next day, on Saturday, feeling ‘hung over’, from the ‘binge eating’ the day before. I could have beat myself up for eating crap the day before. Honestly, I woke up discouraged. I felt like I failed. I felt I had to completely manipulate my nutrition plan for the next few days and deprive myself of carbs, in order to compensate for the day before. Have you done that before? Have you dropped the ball on your diet, and so you decide to starve yourself the next day? I think we’ve all been there. I was about to fall in that trap. I messaged my nutrition coach that morning to ask her that very question. I knew the answer, but I needed affirmation and support. Yup, I have a nutrition coach and personal trainer. Even coaches need coaches. She responded, ‘get back on the plan’, the body will adjust back to the plan. You see, I didn’t mention what my nutrition is like on a typical basis. Prior to Friday, I’ve been on a nutrition plan. I have goals that I want to achieve. If you’ve been following my journey, I gained over 40 pounds, but ended up losing over 50 pounds. I have kept the weight off. My nutrition isn’t perfect, but I have a plan on how many macro-nutrients (carbs, fats, protein) I need to hit in a day and in a week, in order to stay on track with my goals. It’s not perfect. I can enjoy indulgences each week whether it be pizza, hamburgers, or chocolate, and so can you! I’m not on a deprivation ‘diet’. I eat carbs, fats, and protein throughout the day. I even rarely do cardio. It’s not all about cardio or spending hours in the gym. Too much cardio or doing high intensity training frequently can derail your goals. I’ll get into that another day. I workout 4 days a week for about 45 minutes each. I’m on a nutrition plan that doesn’t have a set start date and set end date. I have hiccups along the way. After I fall, I get back up and get back on track. This is a lifelong journey. Forget the detox, and fad diets. Do they work? Yes, they do! BUT, you have to be prepared to be on it long term or you’ll go back to the status quo once you’re off the ‘diet’. Whatever ‘diet’ you’re doing, it must be sustainable. Realistically, it took months to gain this weight. It’s going to take longer than 6 weeks to lose and KEEP this weight off. If you’re consuming 4,000 calories in a day, don’t cut your calories to 2,000. By the way, it’s not all about calories, either! Instead, make small incremental changes. Be consistent. What’s the most difficult part that you struggle with when it comes to nutrition? Let me know. Happy to help!